About 10 hours into this half-sleeve so far. Birds really do make for great tattoos and I had a blast working on this piece. It wraps around but I didn’t get a decent photo of the other Sparrow on the other side of his arm. 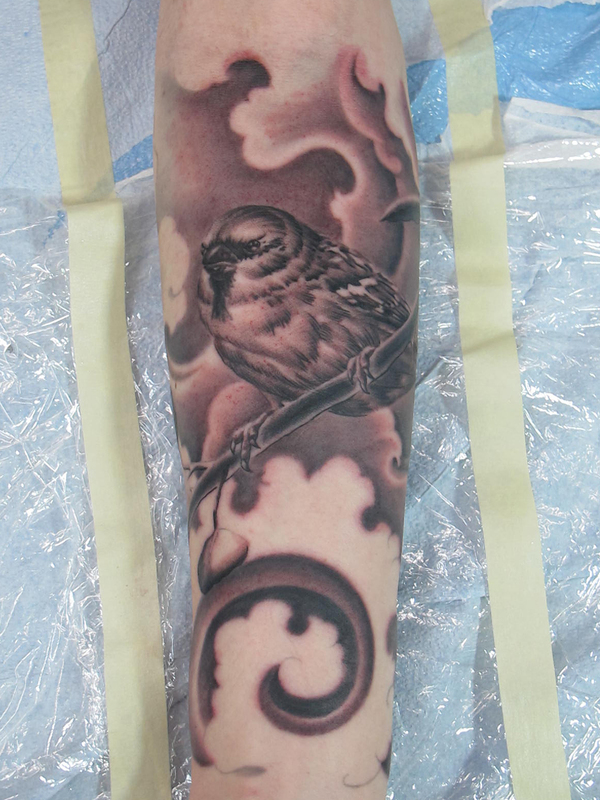 This entry was posted on April 7, 2012 at 1:27 am and is filed under Tattoo with tags Bird, Sparrow. You can follow any responses to this entry through the RSS 2.0 feed. You can leave a response, or trackback from your own site.